UE Systems, the world leader in ultrasonic inspection instruments and solutions, has launched the 4Cast — a smart alert system for bearings monitoring, that records data and sounds continuously, issues alarms and sends data and sound samples to specialized software for analysis and reporting. Data along with sound samples can be reviewed and analyzed to determine the condition of a bearing just before, during and after a change in alarm status. This provides important information to help understand what happened and when it happened. Permanently installed transducers continuously monitor bearing condition 24 hours a day, 7 days a week. All data is stored locally. Should a change in condition occur and a pre-established alarm level is entered, the system, via the plant’s Ethernet will issue an alarm notification, enter data and sound samples into UE DMS data management system until the alarm condition has been reversed. The 4Cast system is remarkably flexible. Users can schedule condition sampling by minutes, hours, days, even weeks. An alarm level can be set to note a condition change, for example 8 dB over baseline for a lack of lubrication alarm. Once an alarm is triggered, the user can set the number of readings prior to, during and after the alarm for analysis. 1. When a set alarm level is reached or exceeded, the system will send previously logged data and recorded sounds directly to Ultratrend DMS for review. 2. After an alarm has been addressed, all data and sound recordings stored during the alarm period can be set to transfer to the computer for more detailed analysis and reporting. 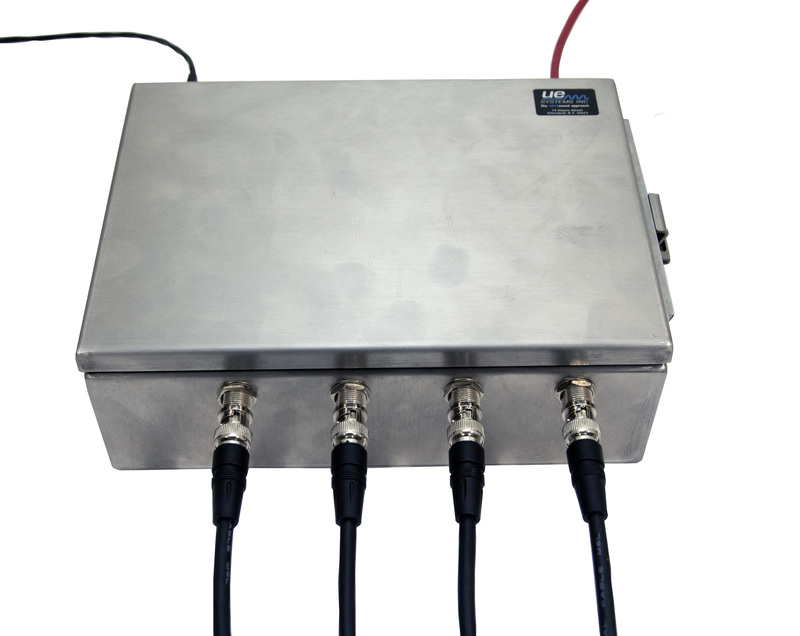 Each 4Cast box monitors up to four bearings. The 4Cast is meant to be user together with the UE systems permanently mounted Remote Access Sensors.